His show was again invited by the Mayor's Office of Art, Culture and Film, Government of the City and County of Denver, Colorado, to participate at the annual Colorado Performing Arts Festival at Denver Center for the Performing Arts. 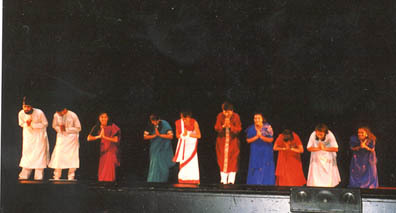 The show entitled "Flames of Fusion", which was an extravaganza of dances of the East and West, was performed by talented artists from Colorado. 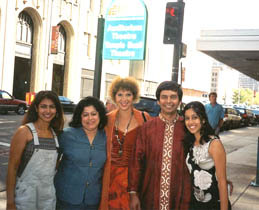 Manick Sorcar, the general director of the show was its MC. It was performed at the prestigious Auditorium Theater, DCPA, which is a historic landmark of the State of Colorado as the home to the Colorado Ballet and Broadway touring shows. 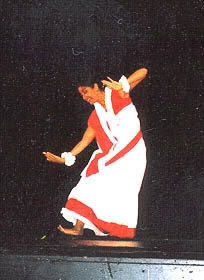 The Sorcar-show was one of the key attractions of the two day long celebration of the Colorado Center for Performing Arts which also hosted other programs from internationally famed powerful companies such as Cleo Parker Robinson Dance Ensemble and Colorado Ballet.